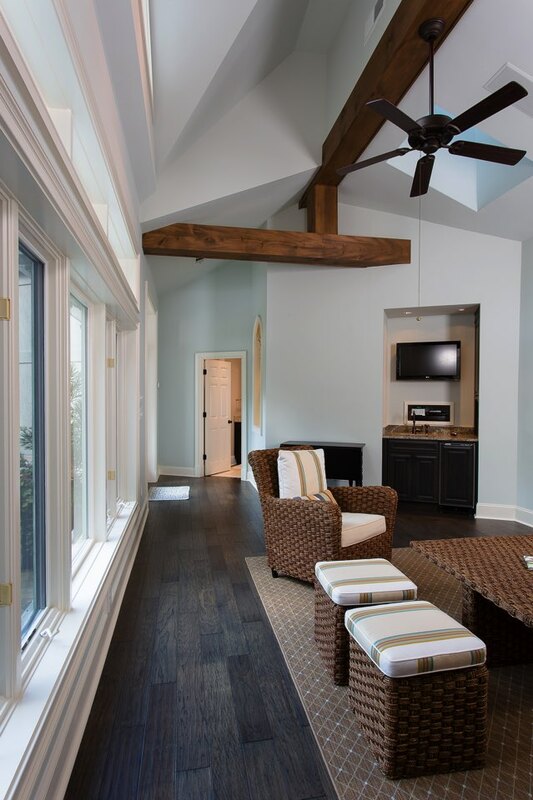 An outdated 1980s-era pool house desperately needed to be brought into the 21st century and repurposed to better fit the Sandy Springs homeowner’s lifestyle. 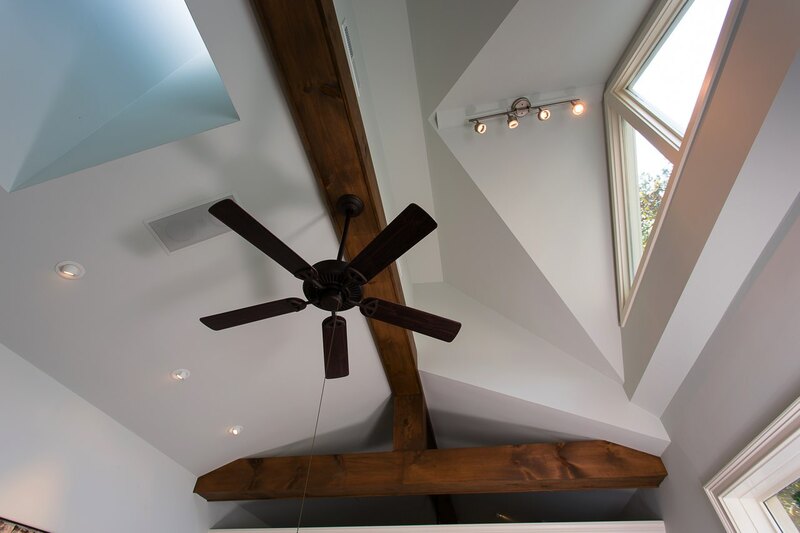 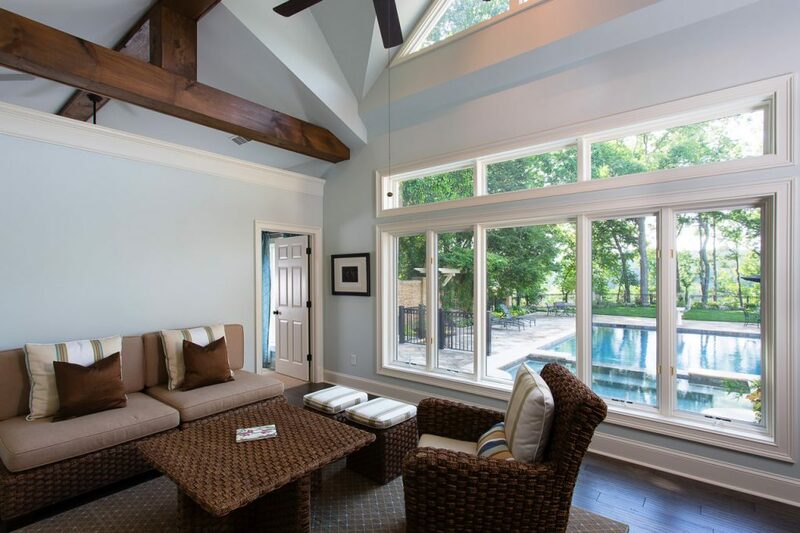 The pool house interior received a full makeover, dramatically transformed by a new dormer set above large picture windows that face the pool and flood the living room with natural light. 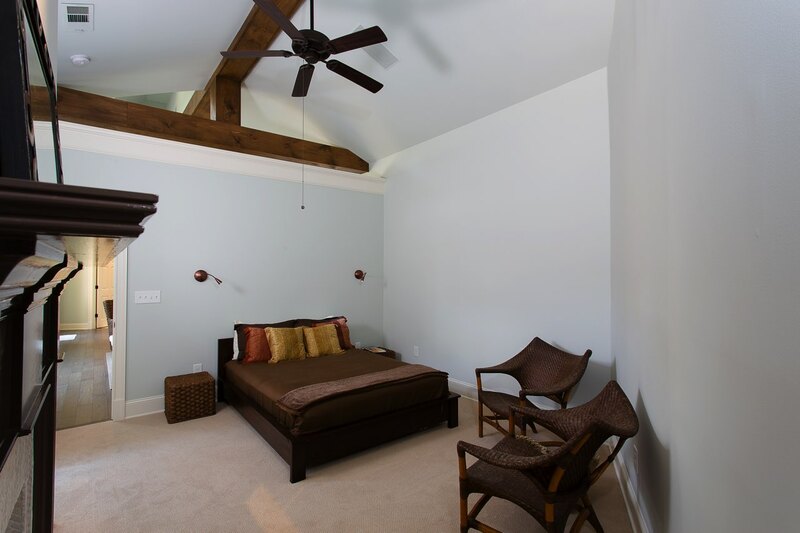 Dark wood floors and beams provide a rustic contrast to the otherwise modern theme and sparkling blue pool just outside the window. 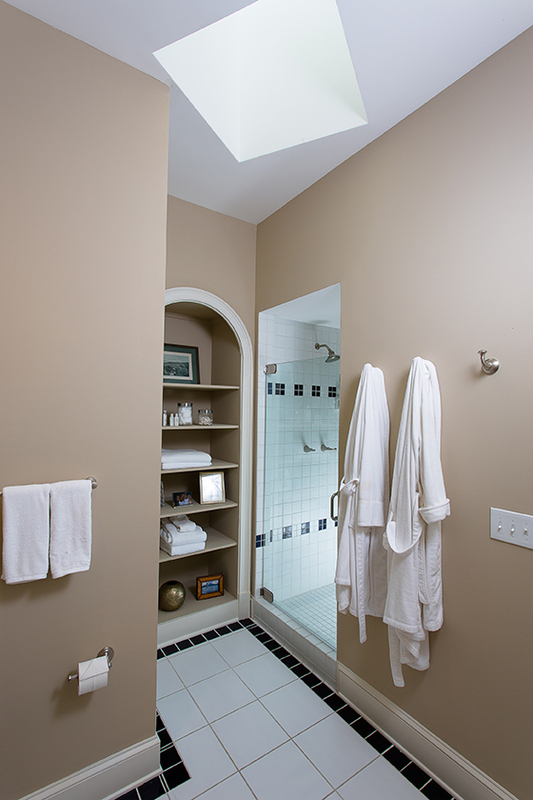 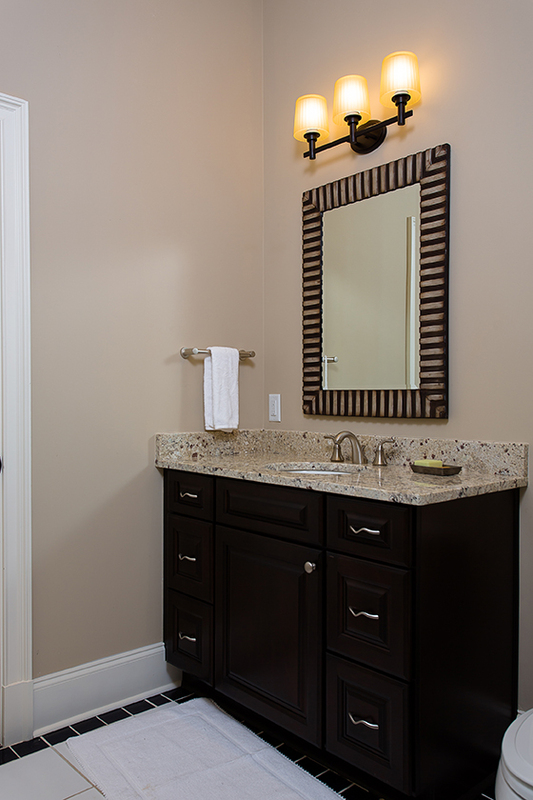 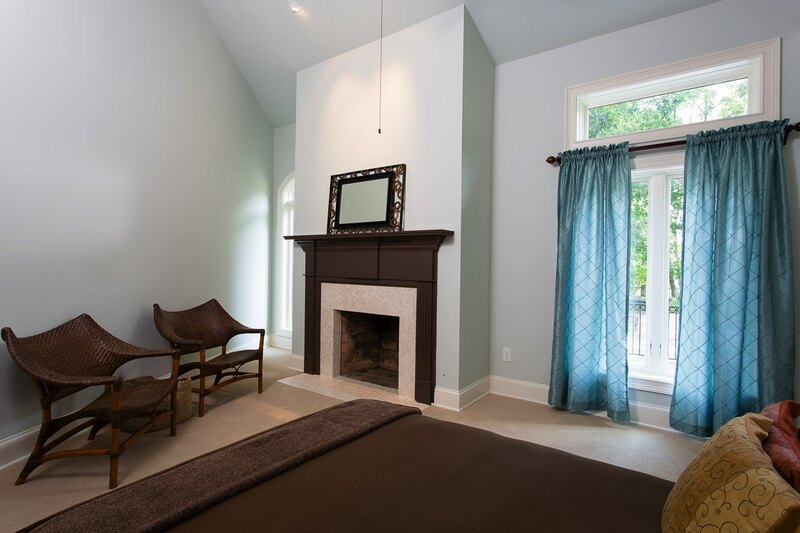 A bedroom and bathroom make this a fantastic Atlanta retreat for visiting guests.